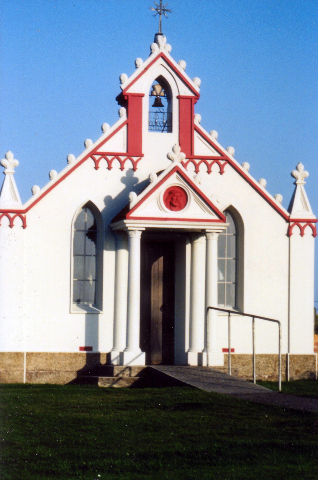 Chapel built by Italian prisoners during WW11. J Rae arctic explorer in a museum display. This battle indirectly gives rise to this beautiful song. After the battle, many Scottish soldiers were imprisoned within England’s Carlisle castle near the border of Scotland. “Loch Lomond” tells the story of two Scottish soldiers who were so imprisoned. One of them was to be executed, while the other was to be set free. According to Celtic legend if someone dies in a foreign land, his spirit will travel to his homeland by “the low road”- the route for the souls of the dead. In the song, the spirit of the dead soldier shall arrive first, while the living soldier will take the “high road” over the mountains, to arrive afterwards. The dying soldier remembers his happy past sadly accepting his death. While Scotland may well be one of the smallest countries in Europe, the nation and its people have certainly made their presence felt. William Wallace, Rob Roy and Robert the Bruce are names which are recognized the world over and it is somewhat because of Hollywood movies with Mel Gibson and Liam Neeson, bringing them back to life. Historical heroes and the Scottish themselves are responsible for the popularity of the country as a holiday destination. How can you not enjoy the company of someone with a Scottish accent? The country’s other biggest asset is its scenery. 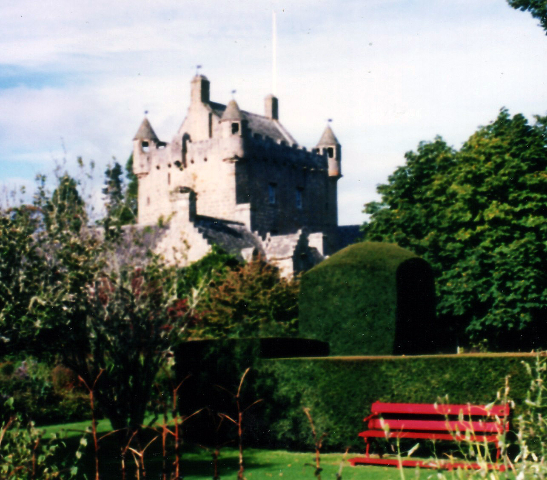 From the heather covered mountains and glassy lakes to the castles and many historical sites. And those Highland cows and glens speckled with sheep. Scotland’s most famous loch (lake), celebrated in song “Loch Lomond” is now at the centre of a National Park and is the gateway to the long sea-lochs of the west, with their mossy oak woods and mild airs. Great gardens, wonderful views, plus Ben Nevis are some of the features. We started our tour at Glasgow International airport and went straight to Loch Lomond Shores, the most spectacular visitor destination combining the beautiful environment with an outstanding mixture of leisure and shopping experiences overlooking the majesty of Loch Lomond at Balloch. .
With Scottish grace and enthusiasm, Jean Blair, a blue-badge tour guide led our group on this Highland segment of our tour John Bryan of Woods Coaches drove us from Glasgow to Inverness safely and with good humor. Thank you Andrew Weir and Kristy Innes for coordinating the tour. Your patience and punctuality kept us on schedule. During our 7 day trip, we visited a selection of the country’s top sites of historical significance, including the battlefields of Culloden and Glencoe and Skara Brae, the best preserved prehistoric village in northern Europe dating back to 3,000 B.C. We had the opportunity to meet true Highlanders and experience the Highland culture, history and ancestry. Our first castle stop was at Inveraray Castle after a pleasant lunch at Brambles Tearoom in Inveraray. I got my first taste of Scottish soup, which followed me throughout the trip. I had to have soup at every meal. Andrew introduced me to haggis, but I wasn’t ready to try it, yet. I later wished I had, because I became very fond of haggis. The Duke of Argyll’s family, the senior branch of the Campbell Clan, moved to Inveraray in 15th century. The present building, in the style of a castle was erected between 1745-85 to replace an earlier traditional fortified keep and marks the beginning of more settled times in the country. On display you can see the famous Armory collection, French tapestries, and fine examples of Scottish and European furniture, a wealth of works of art together with a genealogical display in The Clan Room. Glencoe Visitor Centre set the stage for my Scottish experience. Glencoe is part of National Trust for Scotland. It is famous for its dramatic landscape and wildlife. Here I found out how a glen (valley) was formed and enjoyed video of historical information. We left the centre and traveled north to Loch Ness. No monster in sight! Ate a light lunch at Urquhart Castle café of Scottish soup of the day and an egg/mayo sandwich. This combination became my favorite lunch food. 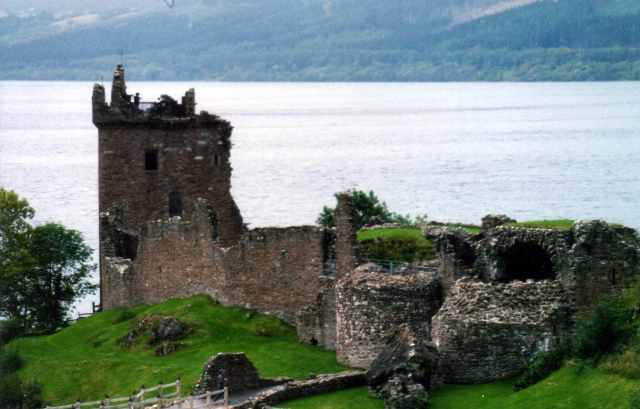 The Urquhart Castle on the banks of Loch Ness provided a good photo op viewed from the café terrace. Here were the remains of an impressive stronghold in a ruinous state. My overnight accommodations at Culloden House Hotel were truly a royal experience. Fortune found me in bedroom where Tony Blair slept. Such a genteel environment! Dinner was a gourmet delight. 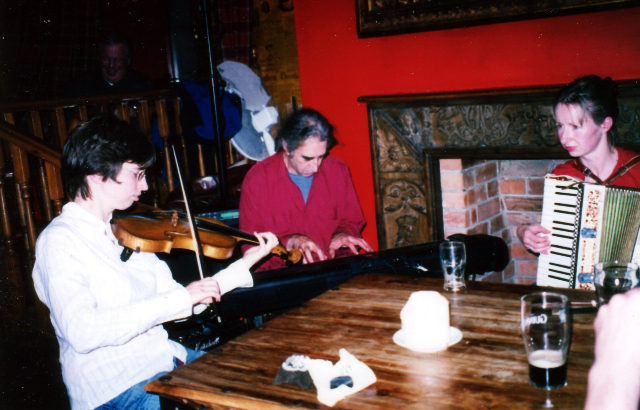 Hootenanny experience that evening was a pleasure at Scottish Gaelic bar in Inverness. No smoking ban in Scotland was in force, which made the evening most enjoyable as I sipped on non-alcohol drink Irn Bru and listened to Scottish music. My souvenir can of Irn Bru, metallically fruity sparkling flavored soft drink was confiscated at airport because of rule, no liquids onboard from outside of security. 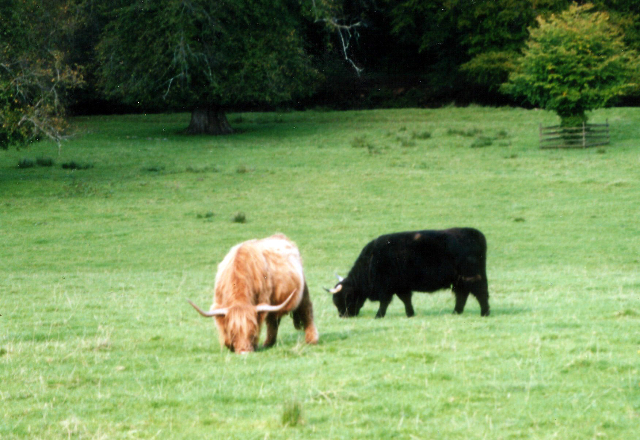 Here I saw my first Highland cow. What a beautiful red-haired cow. I found Highland cow postcards to send my friends and a pin of Highland cow adorned my jacket .I became hooked on Highland cows. The grounds around the castle were manicured with gorgeous gardens. Culloden Battlefield, near Inverness was our last stop in the Highlands. Here was the scene of the last major battle fought on mainland Britain. “Loch Lomond” song referenced this battle. You could walk the battlefield. A uniform attired interpreter told us about the battle. We then flew on a British Airways small plane Loganair to Orkney. Michael and Christine from WILABOUTORKNEY Tour collected us at airport and brought us to Sands Hotel, where we stayed for 2 nights. The Orkney Islands lies 6 miles to the north of Scottish Mainland. This flourishing archipelago of 70 islands has a vibrant culture, abundant wildlife and spectacular scenery. Seventeen of the Orkney Islands are inhabited. With Neolithic Pictish and Viking heritage, Orkney has over 1,000 recorded archeological sites, including a World Heritage Site dating more than 5,500 years ago. Skara Brae Prehistoric Village was discovered when a wild storm in 1850 exposed the ruins of these ancient dwellings. The excavated farming settlement dates back 5,000 years. Lunch at Julia’s Café’ gave me courage to try haggis, which I found quite delicious. We visited Stromness Museum, one of the oldest museums in Scotland. Orkney’s strong seafaring tradition was on display as well as its history. Many Orcadians in 18th and 19th centuries left the port of Stromness to join the ships of the Hudson Bay Company bound for a new life in Canada. 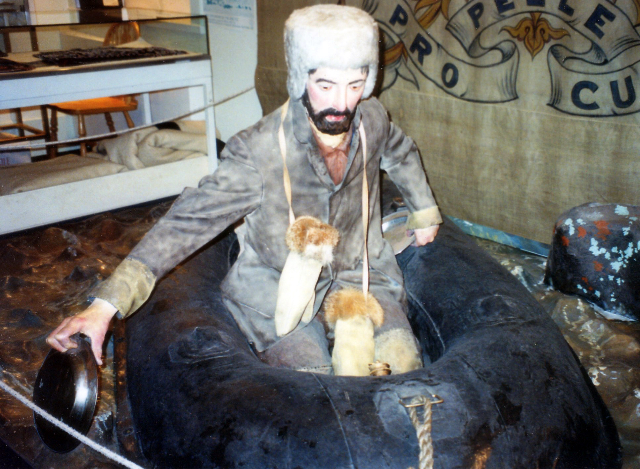 The diorama of Dr. John Rae, the Arctic explorer was one of the focal points of the museum. Five thousand years ago, people in Orkney buried their dead in large tombs, which they covered with soil to make small hillocks. Maes Howe is the finest. It consists of a large chamber and several smaller chambers. It was broken into in mid-twelfth century by Viking crusaders who carved graffiti on the walls of the main chamber. In 1999, it was designated as a World Heritage Site with Skara Brae, Ring of Brodgar and the Stones of Stenness. Ring of Brodgar Stone Circle, which consisted once of 60 stones may have been placed here to study moon’s movements or for religious ceremonies. They were used for about 1,000 years. Stenness Circle and hedge once consisted of 12 stones surrounded by a ditch. We checked into Lynnfield Hotel in Kirkwall for two nights. Tonight we visited The Highland Park Distillery, which makes Single Malt Scotch Whiskey. Our pleasant and informative guide showed us the traditional methods. Dinner at Merkister Hotel gave me opportunity to dine on local beef. Next day we explored Kirkwall’s attractions: St. Magnus Cathedral built in Romanesque-style in 1137 when island still ruled by Norway. Bishop’s Palace and Earl’s Palace described as the most accomplished piece of Renaissance architecture left in Scotland. The last attraction before we left Orkney was Italian Chapel built in 1940 by Italian prisoners of war. Tonight we enjoyed entertainment of local folk singers and storytellers at The Wrigley Sisters Centre for Traditional Music. We flew back to Glasgow so we could catch an early flight back to USA. We stayed at a gorgeous hotel One Devonshire Gardens. Farewell Scotland until we meet again on the bonnie bonnie banks of Loch Lomond. Alltavona House B &B in Oban provided comfortable room with an excellent full Scottish breakfast. Culloden House Hotel was a gracious Georgian mansion built in 1788 in Adam style. And is one of Scotland’s Heritage Hotels 5 star. 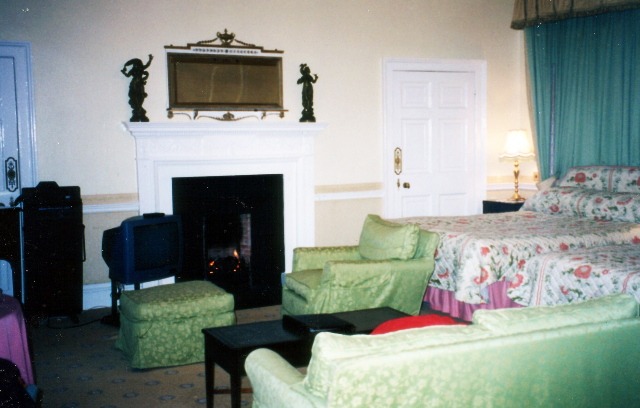 The luck of the draw put me in a stately room where Tony Blair slept. Sands Hotel in Orkney was originally built as a fish store in 1860. The Lynnfield Hotel & Restaurant in Kirkland, Orkney was 3 stars with plans to upgrade. The staff worked tireless as waitresses during meals and housekeepers as well. In Glasgow Hotel du Vin One Devonshire Gardens was a 5 star stand-out. My stunning suite was gratefully appreciated.